A crowd-funding campaign raising money for legal action to restore Pittwater Council will go live this week, with a cruise on historic ferry MV Reliance offered for the first 20 donations over $500. Former Pittwater councillor Bob Grace said the campaign, Protect Pittwater, will kick off at 1pm on Tuesday. Mr Grace encouraged all residents to get on board and to contribute toward the $10,000 target – the amount he estimates will be needed to seek legal advice and prepare a statement of claim. “The crowd-funding site is ready to launch on Tuesday,” Mr Grace said. “Our future is in your hands. “If you want Pittwater back, please contribute generously to support legal action. 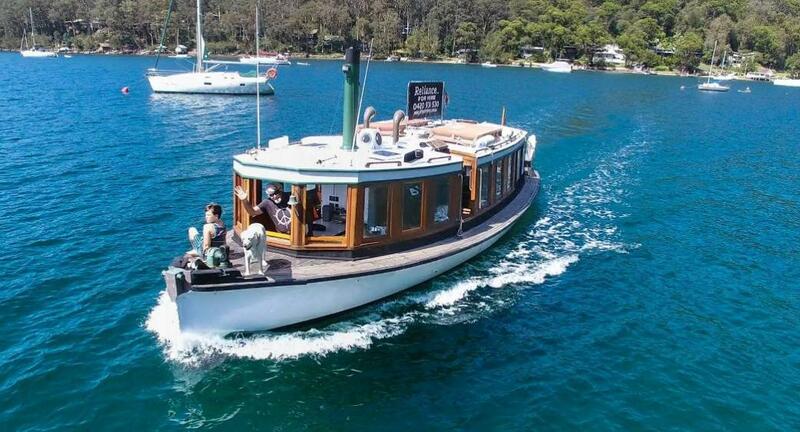 Pittwater Ferries owner Mark Farrell has generously offered his 98-year-old ferry for a half-day Pittwater cruise - inviting the first 20 supporters to donate $500 to the campaign. MV Reliance, a classic shallow-bottomed estuarine ferry, was built by famous Palm Beach boat builders Goddards. However, Mr Grace said all donations, no matter how large or small, would be invaluable. Donors will be able to find the Protect Pittwater campaign after the launch on the Chuffed crowd-funding site https://chuffed.org (under “Campaigns”). A link to the campaign will be posted on the Protect Pittwater facebook page on Tuesday morning. For more information please email info@protectpittwater.com.au Problems experienced with this email address last week have now been fixed. PROTECT PITTWATER public forum held at Mona Vale RSL on 16 May 2017: the KPMG report - Greens MP David Shoebridge offers just one insight on the report nobody gets to see in full - including the NSW Local Government Minister!